Too many people simply plead guilty after they are charged with a DWI or DUI. They don't realize the full repercussions. They don't realize they could probably get a better deal. Laura M. Baker, understands what's at stake and she knows how to defend drunk driving cases. Her criminal law and DWI defense practice, has helped many citizens of Cabarrus, Rowan and Stanly counties defeat a DWI charge or soften the penalties imposed after a conviction. Contact Criminal Defense Attorneys today for a confidential consultation. Contact our Cabarrus County office to arrange a consultation, or brief us on your situation here. What Will Happen In Your DUI Drunk Driving Case? When charged with a DWI, two legal questions are important in determining how to handle your case. First, did the officer have a reasonable suspicion to stop your vehicle. Second, was there probable cause for your arrest. The answers to these questions can be the deciding factor between a guilty plea and a not guilty plea.Attorney Baker will look closely at these questions in every case to determine the best course of action. Even if a guilty plea is appropriate, there are approximately 30 different factors that the court will look at in a DWI or DUI case to determine the punishment for the offense. Such factors include, the level of alcohol involved, prior DUI / DWI convictions and whether you had a valid license at the time of arrest. Attorney Baker will look at all these factors, to determine where you stand. In addition, the familiarity she has with the law and the local justice system can make a real difference. 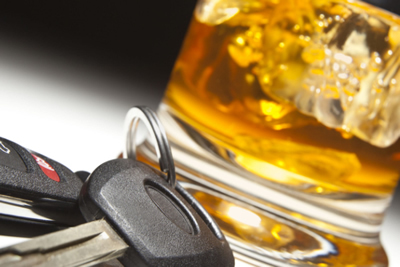 A DWI conviction can have fines as high as $4,000. The amount of the fine is somewhat up to the presiding judge's discretion, however; by statute, there are limitations on how much you can be taxed. By understanding what your punishment would be if you simply pleaded guilty, our Cabarrus DWI office can usually negotiate a much more favorable sentence. In addition to your court case, Attorney Laura M. Baker will represent you in all proceedings to preserve your North Carolina driver's license, or at least help you obtain limited driving privileges so you can still drive to work or school. I can handle all related speeding tickets/traffic violations or even underage drinking.